much they nominated it for the 2014 Brands of Promise Awards. Real Gusto Tequilas are now available in Texas. Read more here. 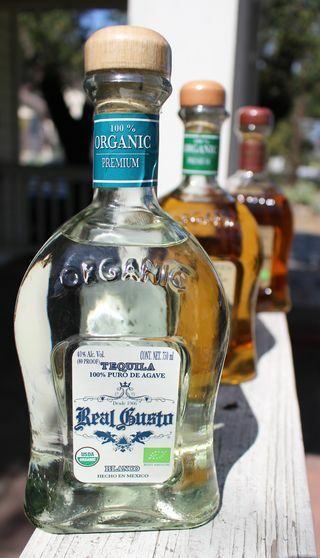 Real Gusto Organic Tequila Reposado: Recommended by Tequila Aficionado. Real Gusto is made in small batches using traditional recipes and processes that can take up to 12 years to ensure the desired concentration and taste. Every batch is made on the Gonzalez family ranch in Mexico; starting from the planting and nurturing of the agave plant to the factory distillation process. As a testament to its originality, Real Gusto’s master tequilero assures the spirit is double distilled leaving only the purest tequila.